Humans love to think of themselves as rational beings. Yet our normal human reaction to terrifying things always follows a familiar formula: we first panic, then engage in denial, and feel an urge to strike out in retribution. Only after these phases do we gather information and exercise logic. The terror we feel at a particular threat is often magnified by other feelings we have towards it, while more truly-significant threats can go unremarked and unchallenged because they do not elicit the same ‘gut reaction.’ The wisest manipulators have long since figured this out, and use our most irrational fears to deflect from the inconvenient ones. As always, sensationalism sells. Charles Bruder is a 27 year-old Swiss immigrant who has worked his way up to captain the bellhops at the Essex & Sussex Hotel in the resort town of Spring Lake, New Jersey. A strong swimmer, he is four hundred feet out from shore today when his screams catch the attention of other bathers. A woman tells the lifeguards that she has seen a red canoe capsized in the water, but when Chris Anderson and George White row out in their small boat, they discover a pale Bruder bobbing in a sea of blood. Something has ripped him in half, severing his legs, and he dies on his way to shore. Shocked, the guests begin to ask about Bruder, and soon collect funds to send to his bereaved mother back in Europe. A fish specimen curator at the New York Museum of Natural History named John Treadwell Nichols is rushed to the scene in order to view Bruder’s corpse. Unwilling to accept that a shark is responsible, he declares that the attacking animal must have been an orca, or killer whale. His resistance is not unusual for the era. 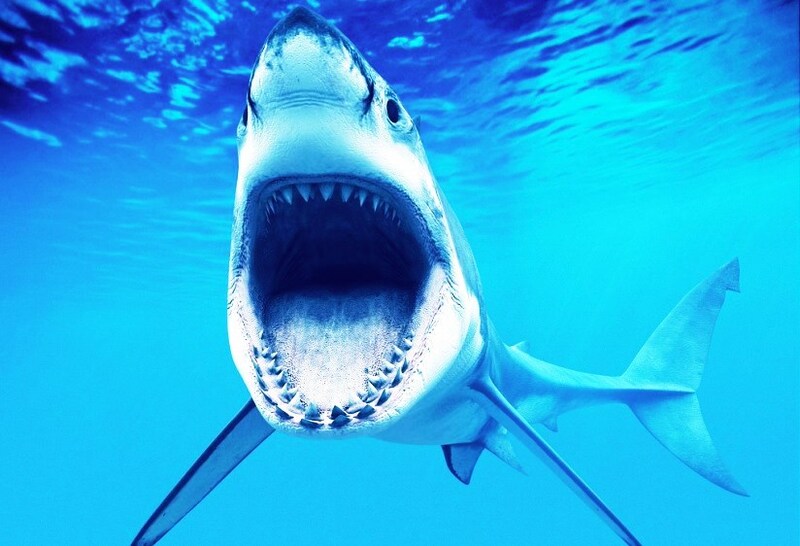 Although people have long intuited that sharks eat the flesh of other creatures, scientists know very little about them, and most believe they would never attack a human being. Hermann Oelrichs, the millionaire athlete and shipping magnate, would offer rewards for proof of a shark attack and entertain guests at his seaside home during the 1890s by jumping into the water with the animals, thus demonstrating they were ‘harmless’ — experiments now cited by those who doubt a shark is responsible for Bruder’s death. 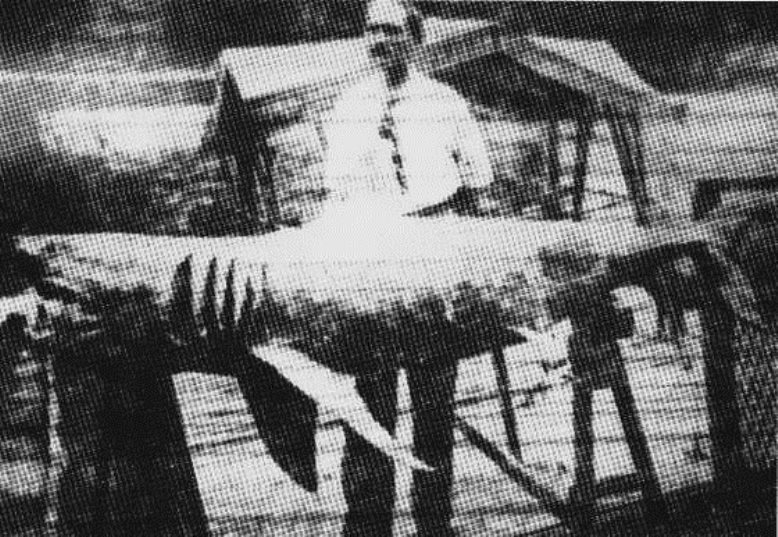 This spate of shark attacks along the Jersey shore culminates on the 12th of July in Matewan Creek, a brackish tidal estuary twelve miles inland, when a retired fisherman named Thomas Cattrell is crossing the trolley bridge and spots a huge shark swimming upstream. Cattrell runs into town to warn people, but his cries go unheeded. 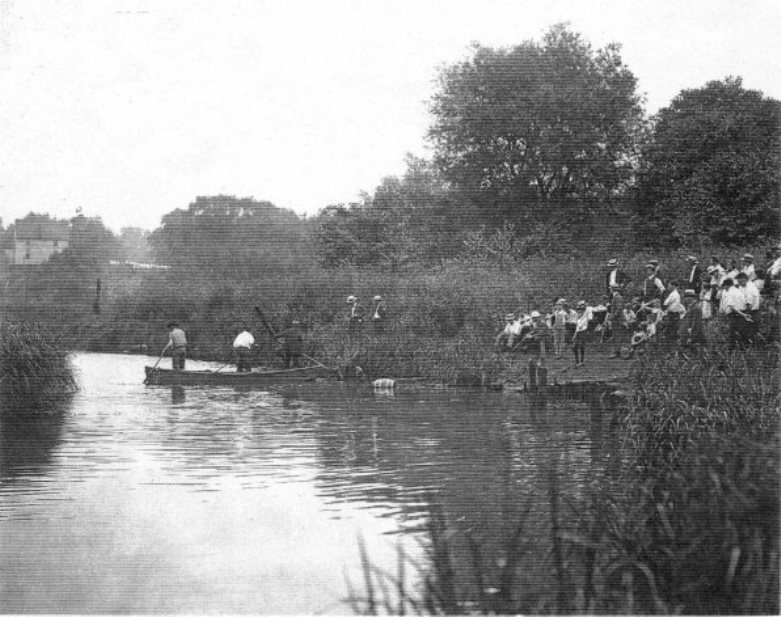 A little while later, three child laborers leave work at a factory and decide to cool off in Matawan Creek; 11 year-old Lester Stillwell’s friends watch in horror as he is pulled under by what is probably a bull shark, which thrashes him around in the water, screaming as he is torn to pieces. When the boys run into town seeking help, the first adults to respond disbelieve their story of a shark. Stillwell was an epileptic, after all — perhaps he simply drowned? Two grown men thus dive into the water, find the shark eating the dead boy, and unwisely try to wrestle him away from the animal. One of the men, 24 year-old Stanley Fischer, dies of his own resulting injuries a day later. But the predator is still not finished. An hour later, it attacks 12 year-old Joseph Dunn, who is pulled to safety but loses a leg. The conventional wisdom about sharks will now be forced to change. Not only is the public perception of sharks changed forever, but they immediately become a symbol of danger. Henceforth, all sorts of hated and predatory things — such as lawyers, legislation, or German submarines — will be represented as sharks. Shark imagery thus subsumes many of the issues plaguing the neutral United States in 1916, such as the dangers of commerce and travel on a war-torn ocean, or the US Army’s current imbroglio in Mexico. 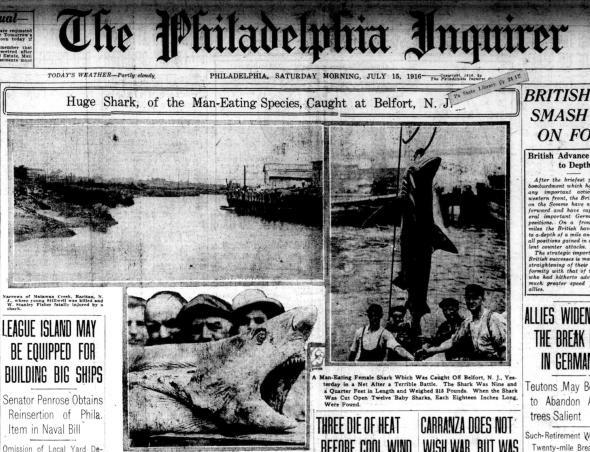 A century later, the words ‘shark attack’ are used ironically for media stories with little real impact on everyday life, but which are visceral enough to attract lots of attention anyway. Which is probably fitting, because a year after these attacks, America will be at war in Europe; everyone can sense the danger on the horizon now, but nobody wants to talk about it honestly.